A green bond is a bond whose proceeds are used for or allocated to projects with environmental benefits. In 2016, Georgia Power completed the issuance of a $325 million green bond (Series 2016A), becoming the first retail electric utility in the United States to offer this type of security to support investment in sustainable generation. Offering the green bond is another way the company is supporting renewable energy development in Georgia including solar and wind power. When Georgia Power issued the green bond in March 2016, the company committed to allocate an amount equal to the net proceeds from the bond ($321.7 million) to Eligible Green Expenditures, such as investments in solar power generation projects in the U.S.A. The company also committed to report the key environmental features of those projects and to publish an independent accountant’s report on the allocation. Below you can see the specific solar power generation projects to which Georgia Power has allocated the green bond proceeds, as well as the environmental benefits of those projects. There is also a link to Georgia Power’s management assertion letter regarding the green bond allocation together with the independent accountant’s attestation report. The facility is owned and operated by Georgia Power with energy delivered to the state's electric grid. * Per the EPA Greenhouse Gas Equivalencies Calculator: https://www.epa.gov/energy/greenhouse-gas-equivalencies-calculator. The CO2 emission factor used by the GHG Equivalencies Calculator represents the 2018 U.S. annual non-baseload CO2 output emission rate. ** ** Per the EIA 2017 annual average residential electricity consumption.. Note that solar is an intermittent resource that only produces power when sunlight strikes panels. “Homes powered” is an equivalent figure, not reflecting actual 24/7 production. ** ** Per the EIA 2017 annual average residential electricity consumption. Note that solar is an intermittent resource that only produces power when sunlight strikes panels. “Homes powered” is an equivalent figure, not reflecting actual 24/7 production. ** Per the EIA 2017 annual average residential electricity consumption. Note that solar is an intermittent resource that only produces power when sunlight strikes panels. “Homes powered” is an equivalent figure, not reflecting actual 24/7 production. 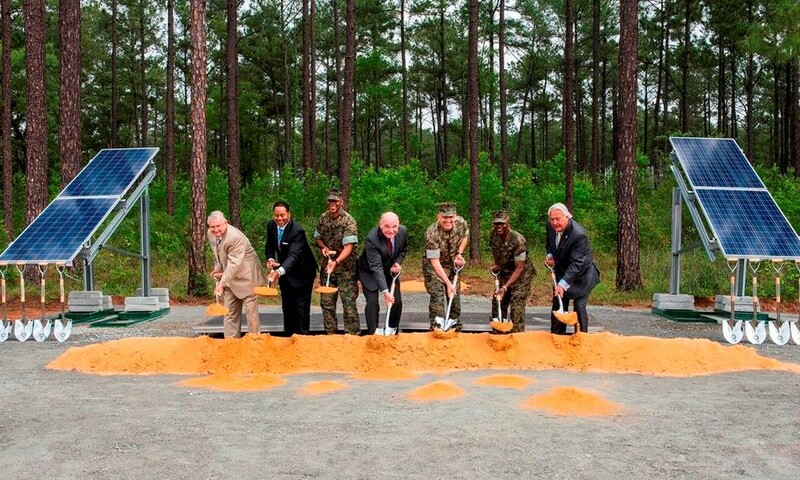 The facility is owned and will be operated by Georgia Power with energy delivered to the state's electric grid. 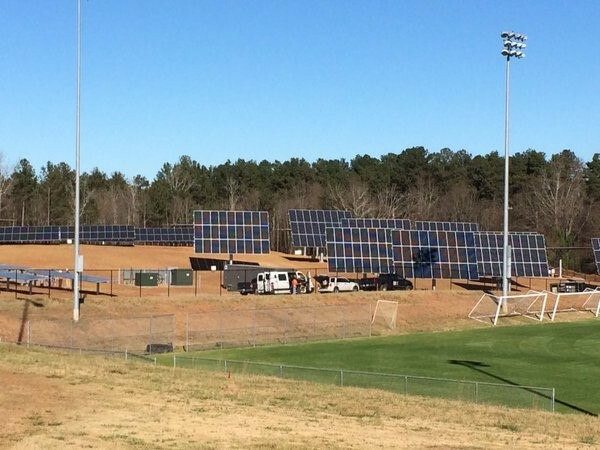 Georgia Power and our project partners, University of Georgia and the Electric Power Research Institute, are studying performance and reliability of fixed and tracking configurations of five separate sub-arrays in this two-year demonstration project. The project demonstrates optimal orientation and tracking technology suited for Georgia’s climate and energy demand. UGA will receive the renewable energy credits, or RECs.